Subscribe to the Aiki Ryu Newspaper (only available in Japanese) and keep up to date on all the happenings at Ryu! Now in color, the newspaper includes reports on demonstrations and seminars as well as Ando Shihan’s explanations of basic techniques. CLICK HERE TO VIEW THE APRIL EDITION. Click here to subscribe to the newspaper. 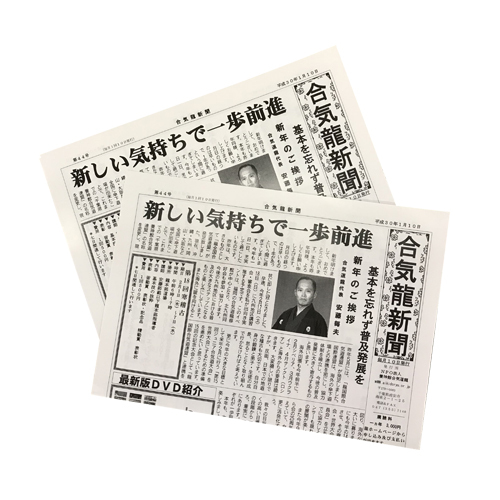 Subscriptions cost ¥3,000 for one year and the newspaper is issued on the 10th of every month.